Today we bought 7 turkey poults! 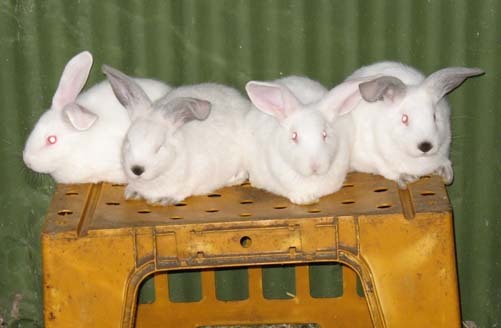 They are still very young (under 1 week) so are in a small cage with a 100W light globe to keep them warm. We are still building their new enclosure, but it will be ready by the time they are! It just needs to be made fox proof, as unfortunately they do visit us from time to time, and they cause such destruction in a few moments. The chicks are doing well, even the two that were rescued as newly hatched. 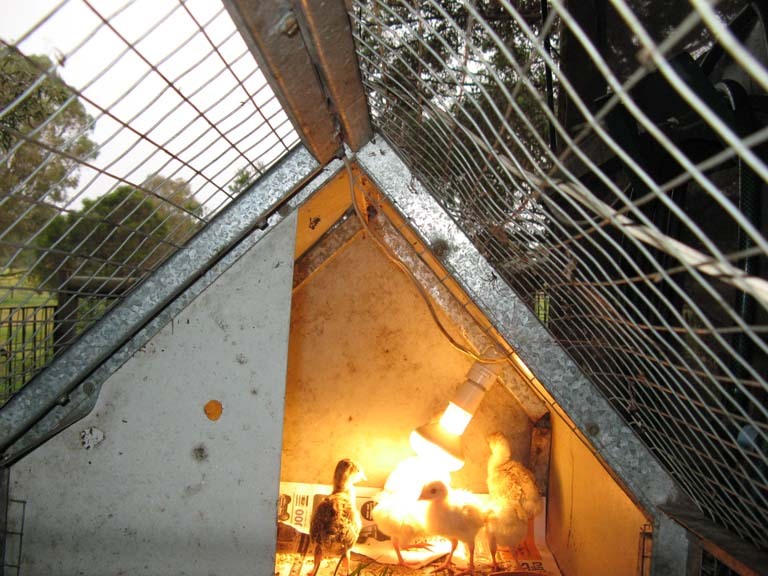 They were near death, so we put them in the cage with the light and were amazed to see they survived. 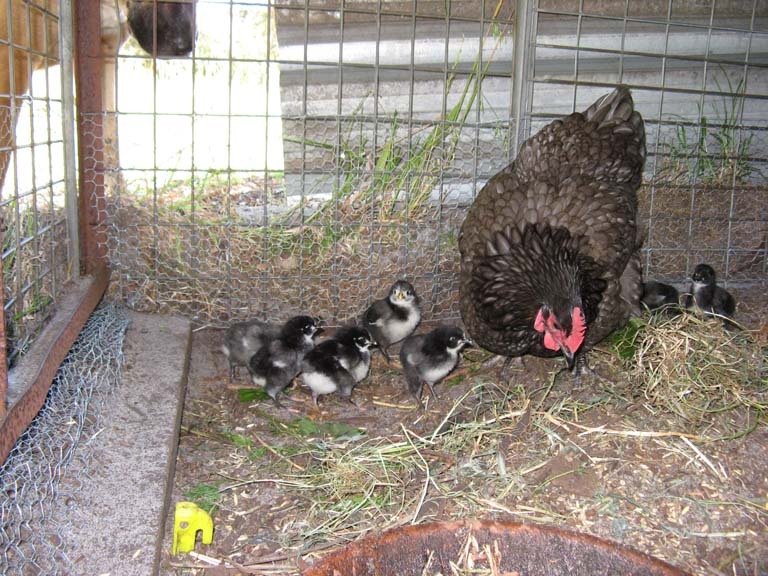 After a few days they were strong enough to slip back to the mother hen and chicks. Spring has sprung at McCarthy Park! We have been very lucky with the weather this year- warm enough and wet enough for everything to grow! 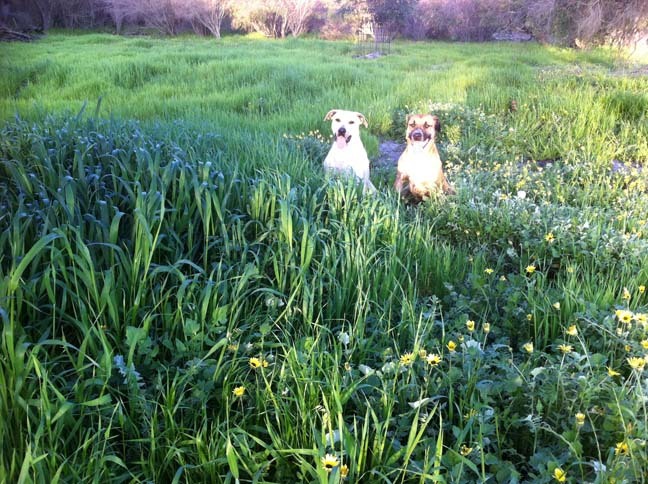 The wheat/barley mix we sowed in the ‘back paddock’ as a food source for the sheep has been very successful. 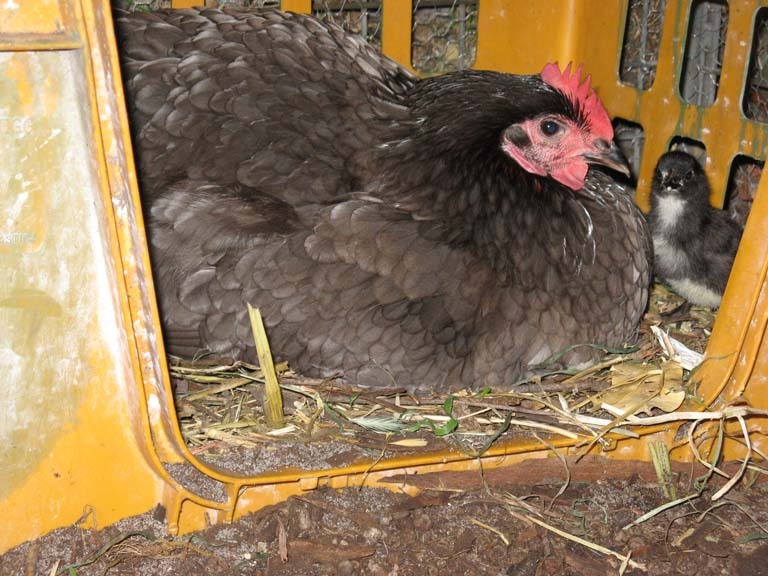 Also, the rabbits have had kittens, the sheep have had lambs, the chooks have had chicks and a duck is sitting on eggs!